After all, you're lived your whole life eating eggs, hamburgers, dairy products, hot dogs, poultry, beef, pork, fish - so why should you go vegetarian now? Do you feel energized after eating, as if you're fed your body what it needs? Your Guide To The Vegan & Vegetarian Lifestyle. Here Is How You Can Look Better, Feel Better, Have More Energy and Even Add Years To Your Life! 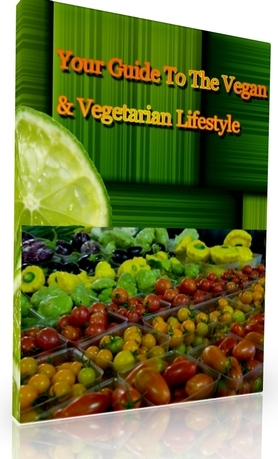 Order your copy of "Your Guide To The Vegan & Vegetarian Lifestyle" right now - and start today taking better care of yourself and your loved ones!